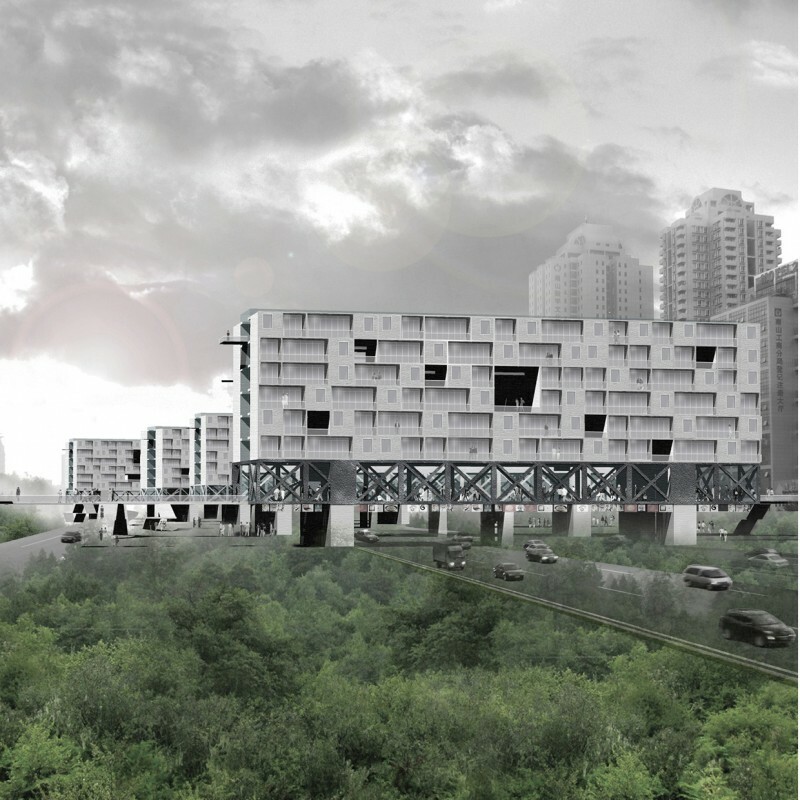 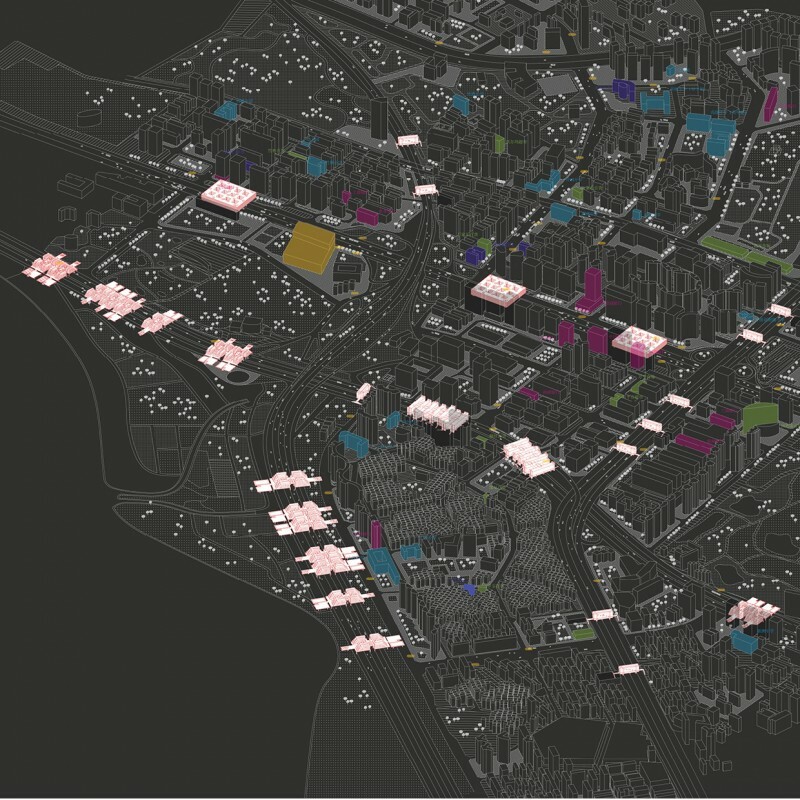 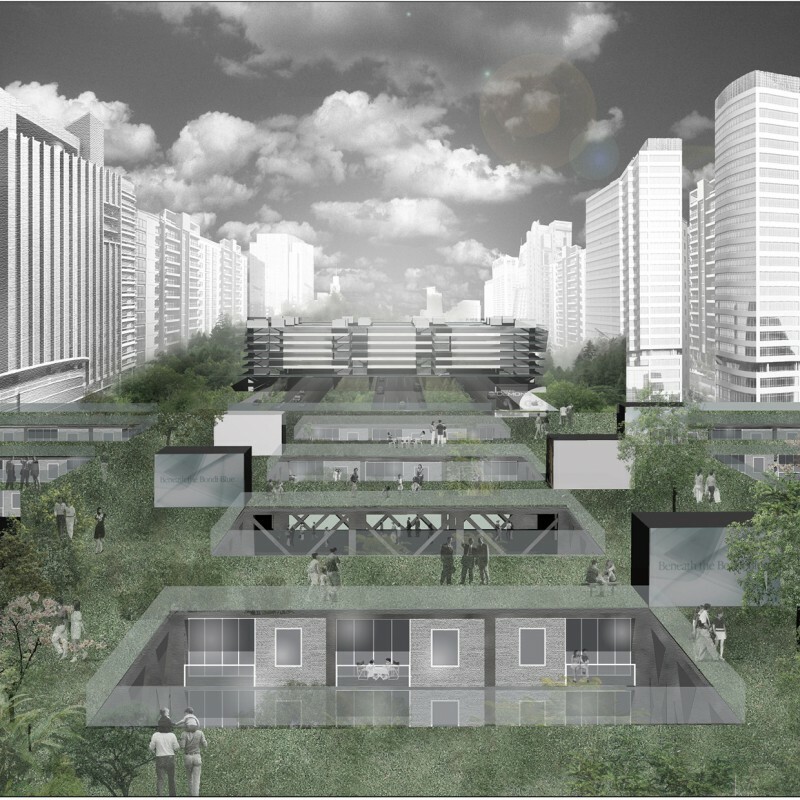 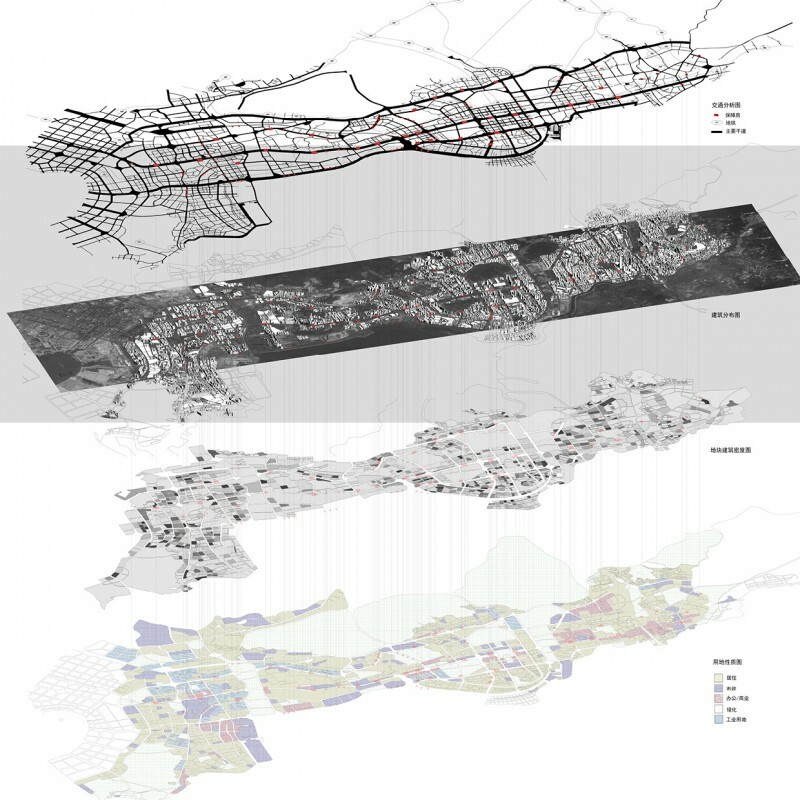 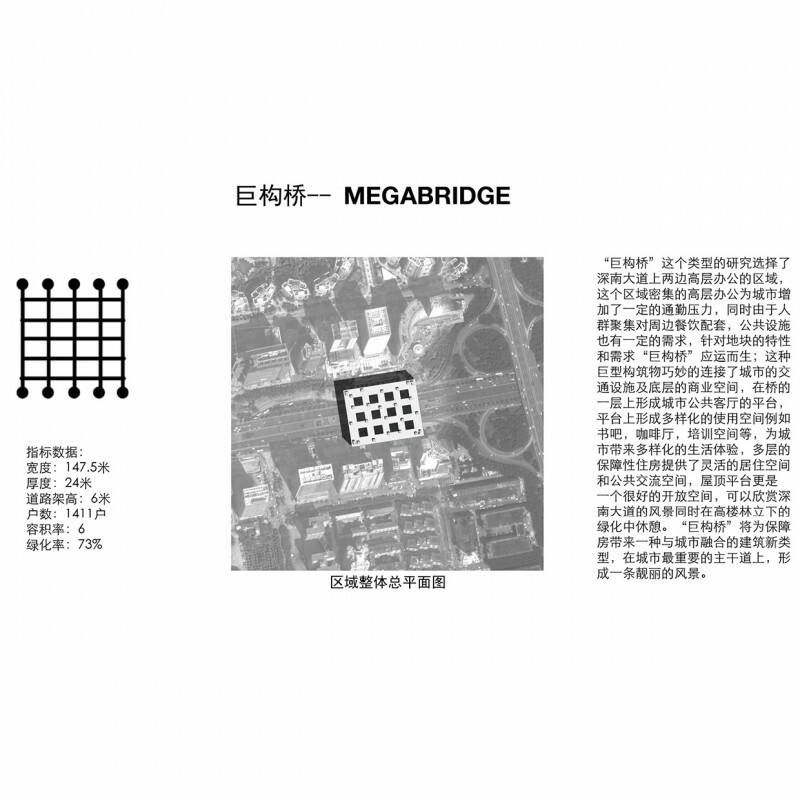 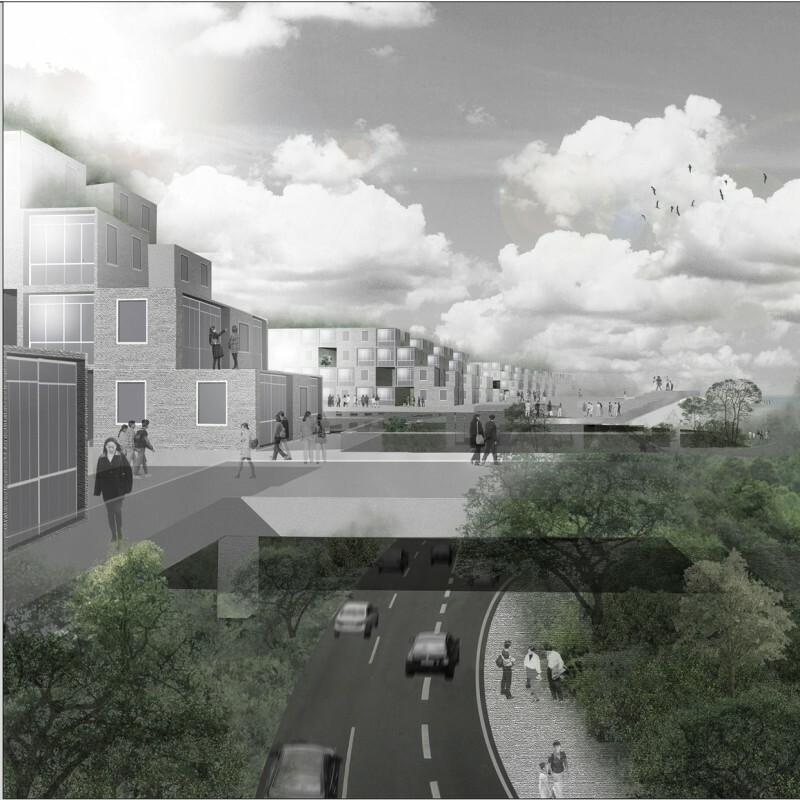 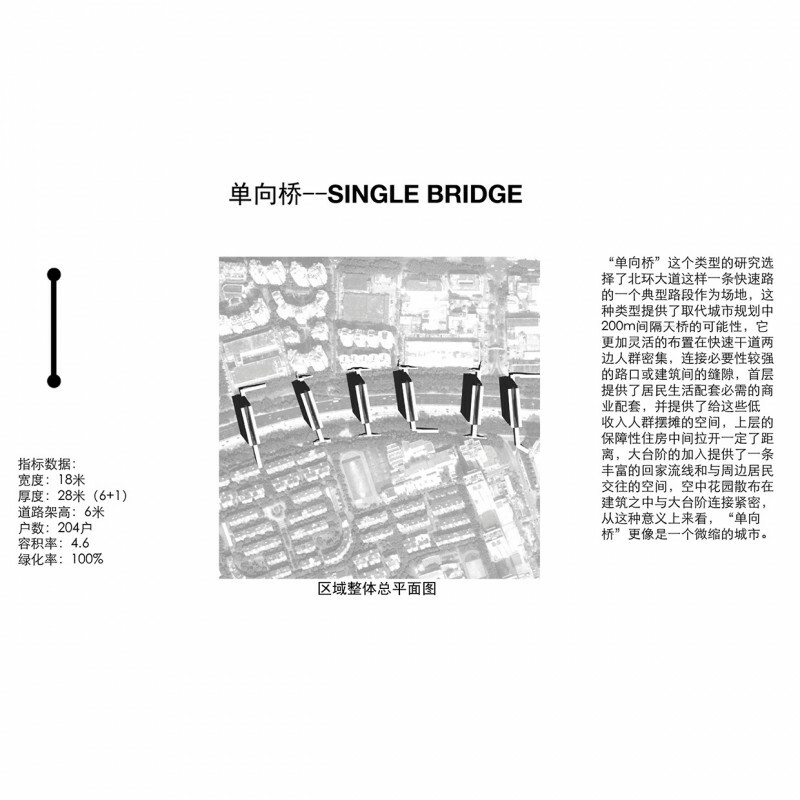 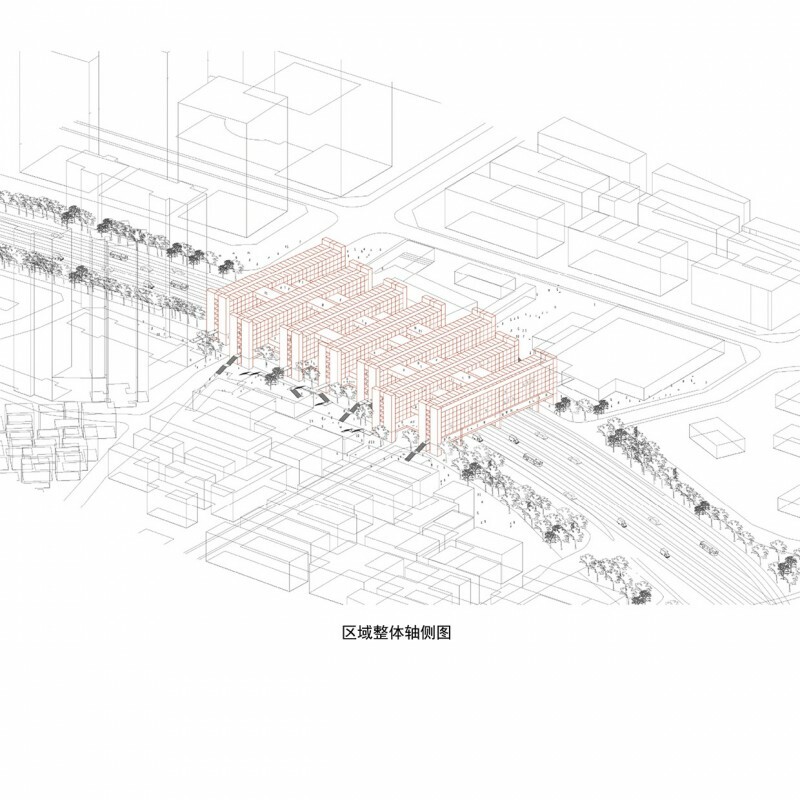 The proposal, entitled “Bridge Urban Life Typology,” rethinks the twelfth five-year master plan for affordable housing. 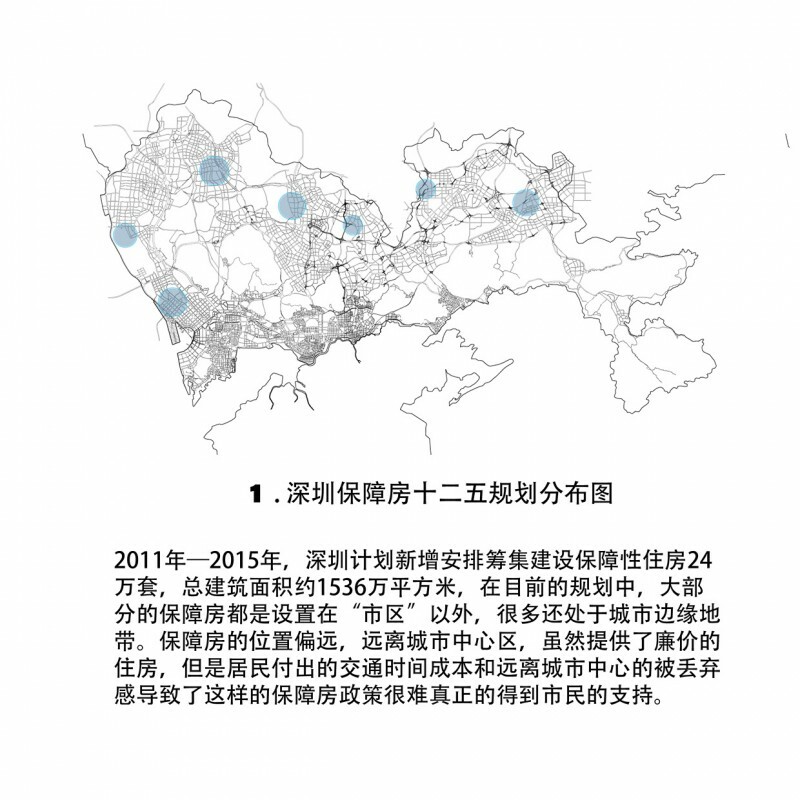 China’s current twelfth Five-Year-Plan has mandated the construction of 36 million units of affordable housing planned to house billions of people during the years of 2011-2015. 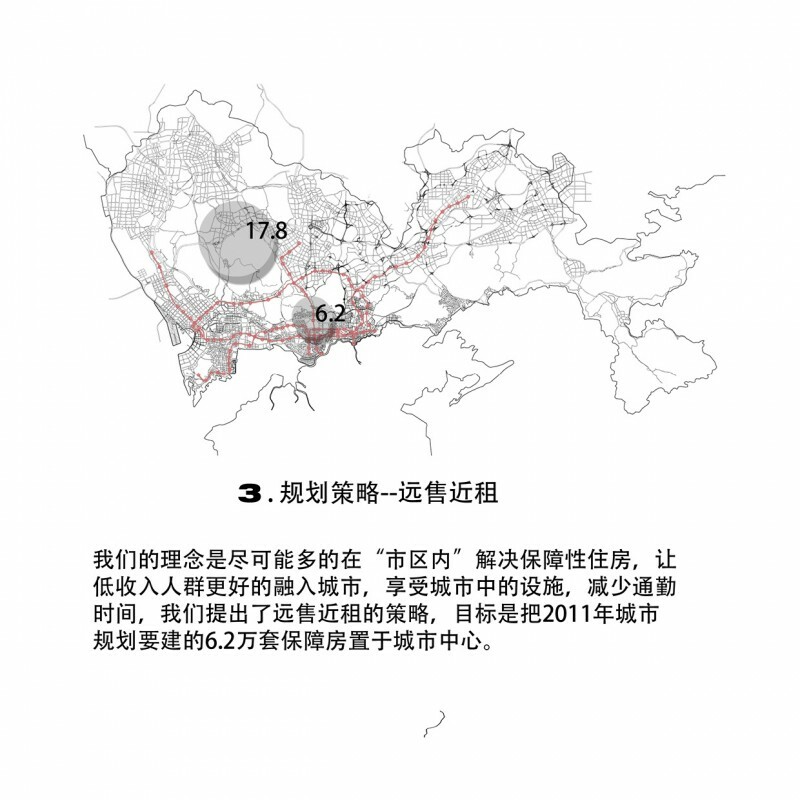 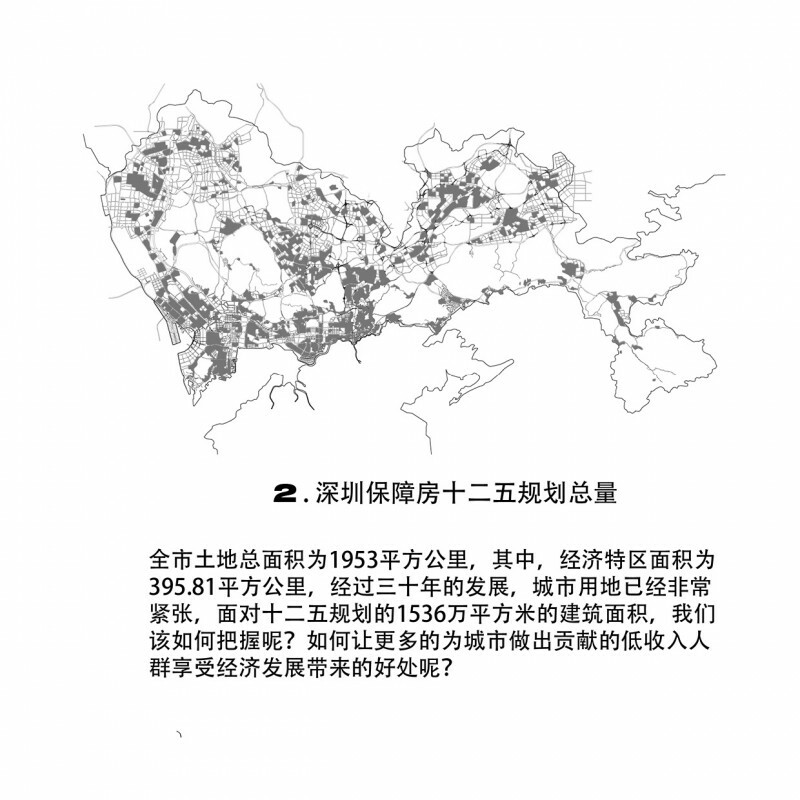 According to this planning, the Shenzhen government’s assignment is to construct 240,000 units to house more than 800,000 people. 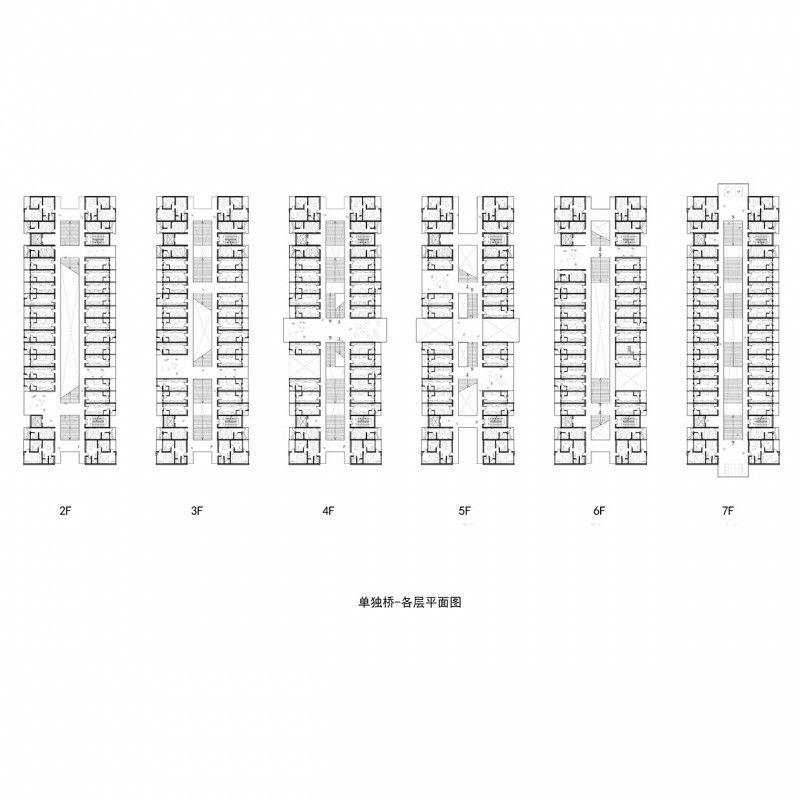 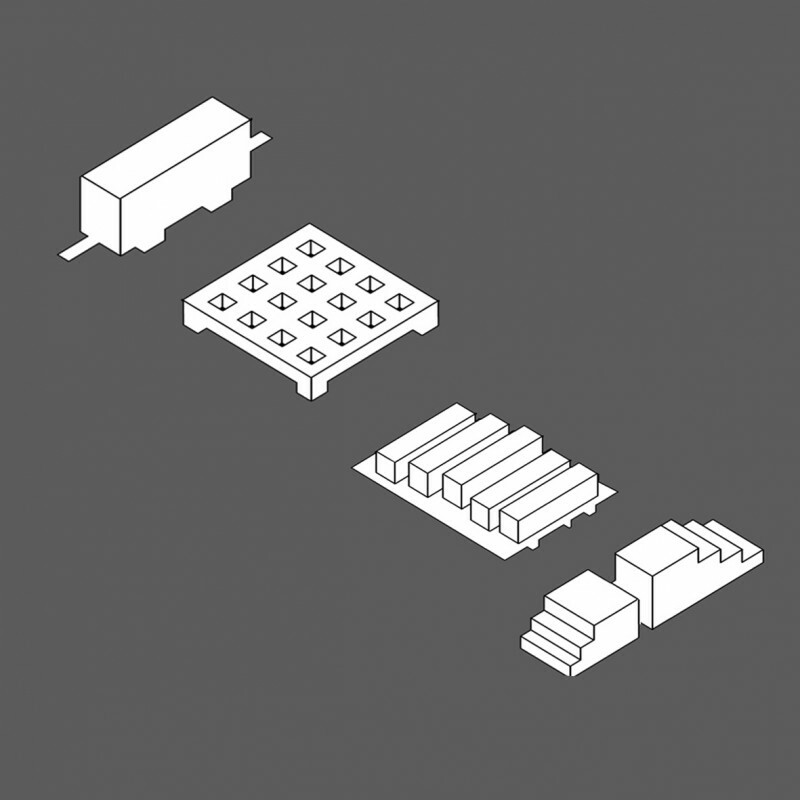 This abrupt top-down task of rapid mass-housing construction raises a series of problematics, including planning, program, needs, policy, land resources, finance, design, construction, distribution, and management. 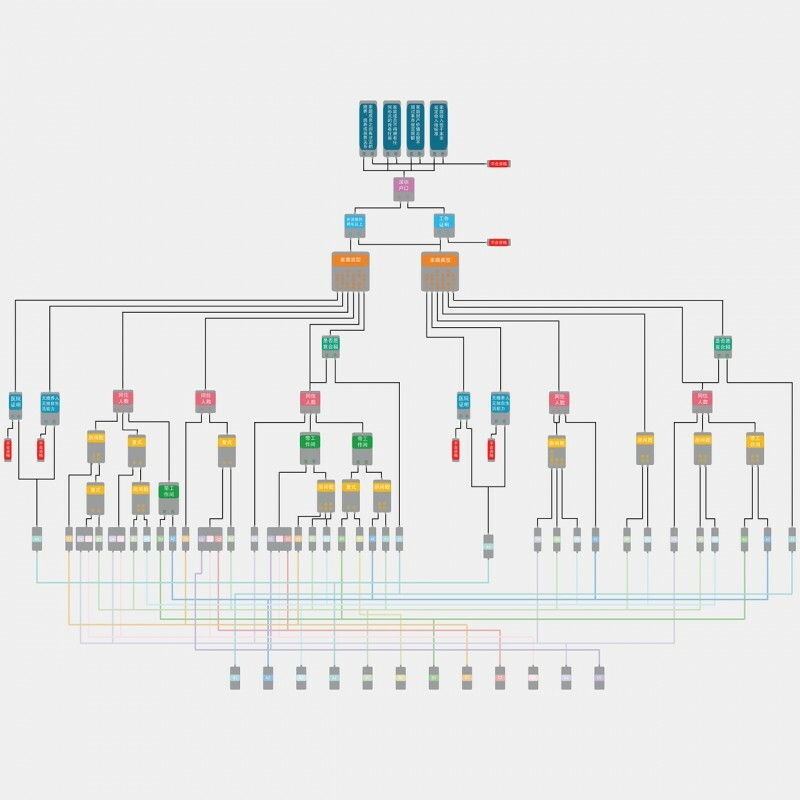 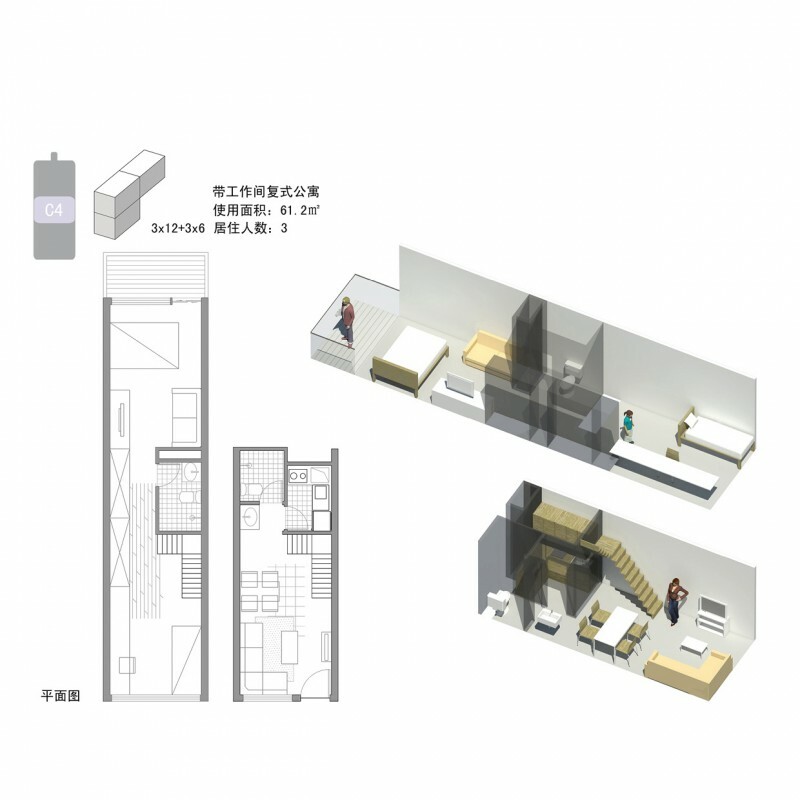 A critical question for the architectural profession arises: What can design do within this situation? 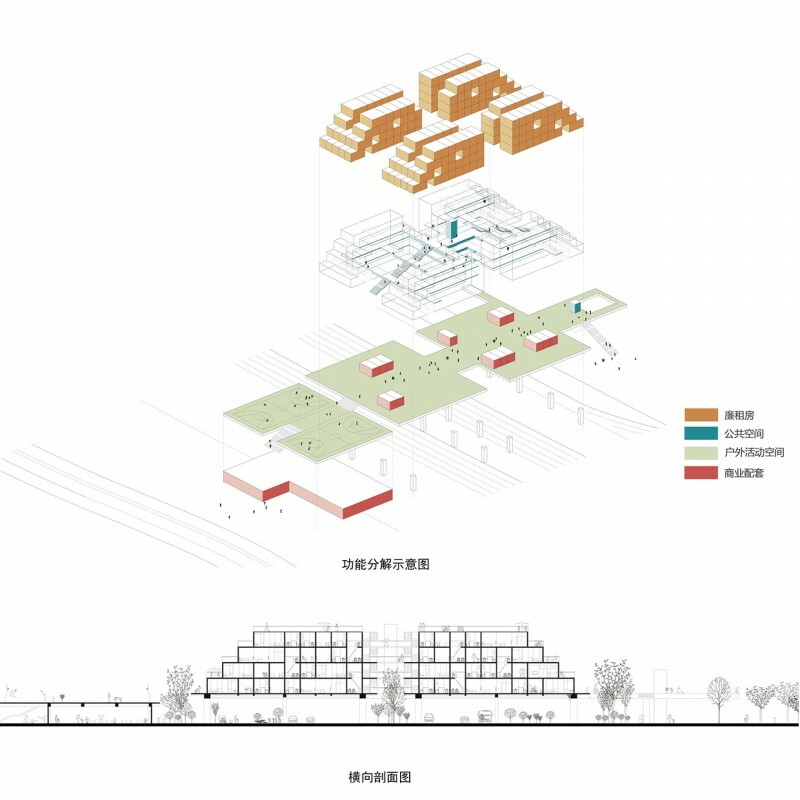 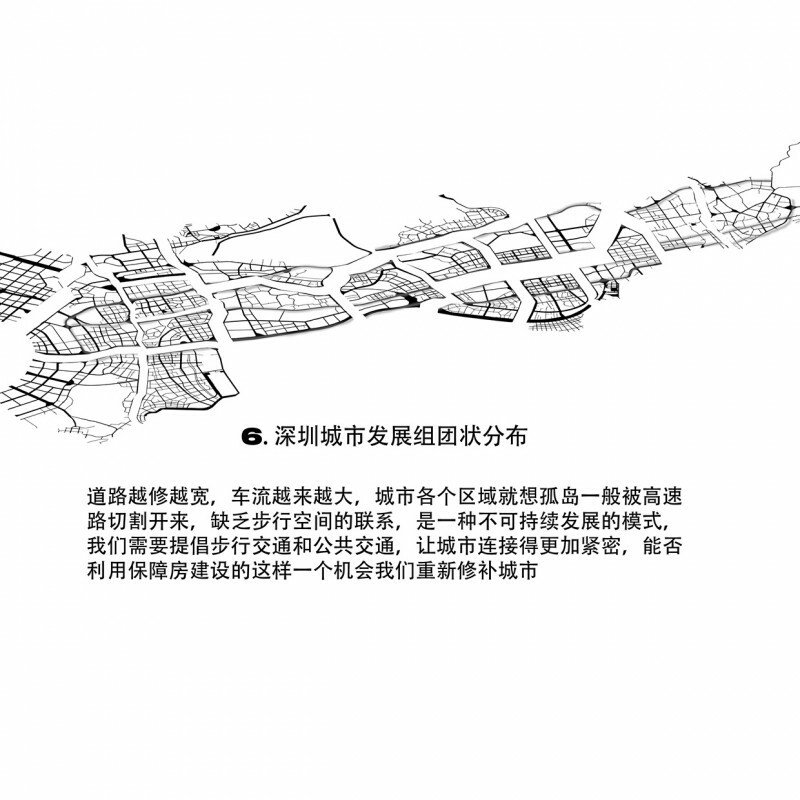 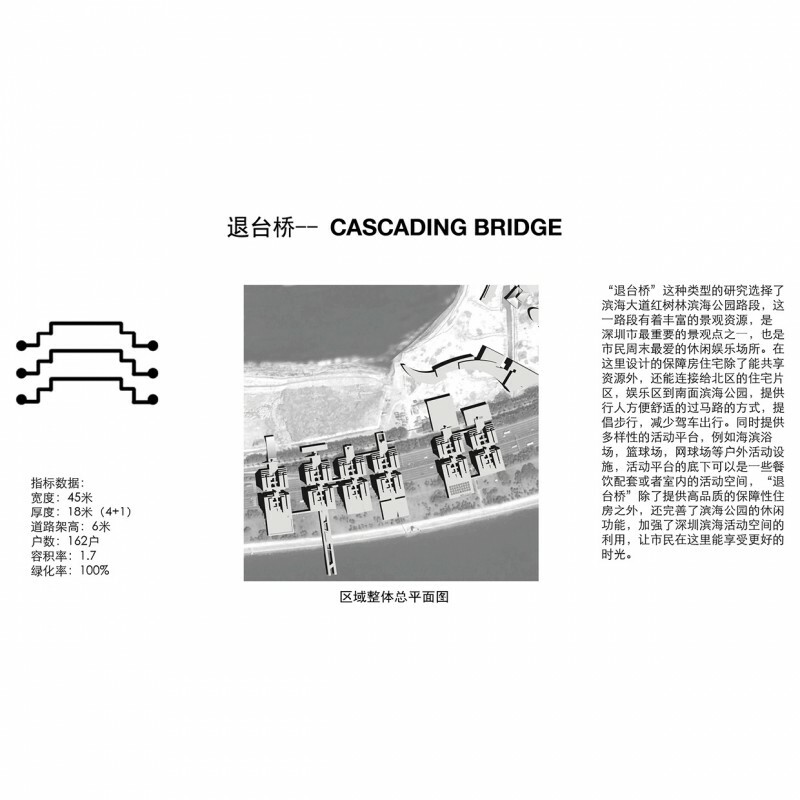 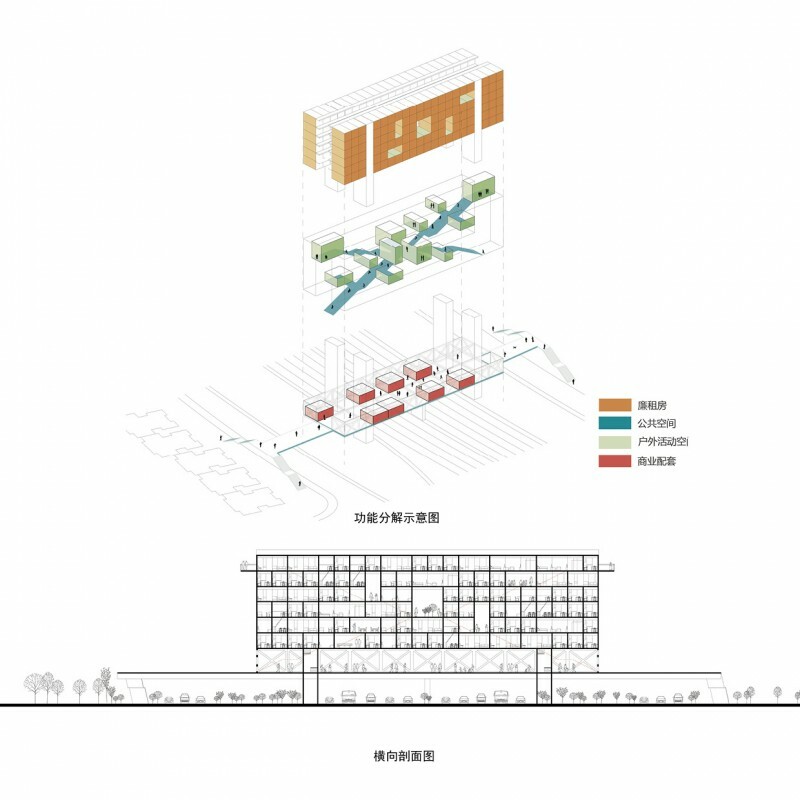 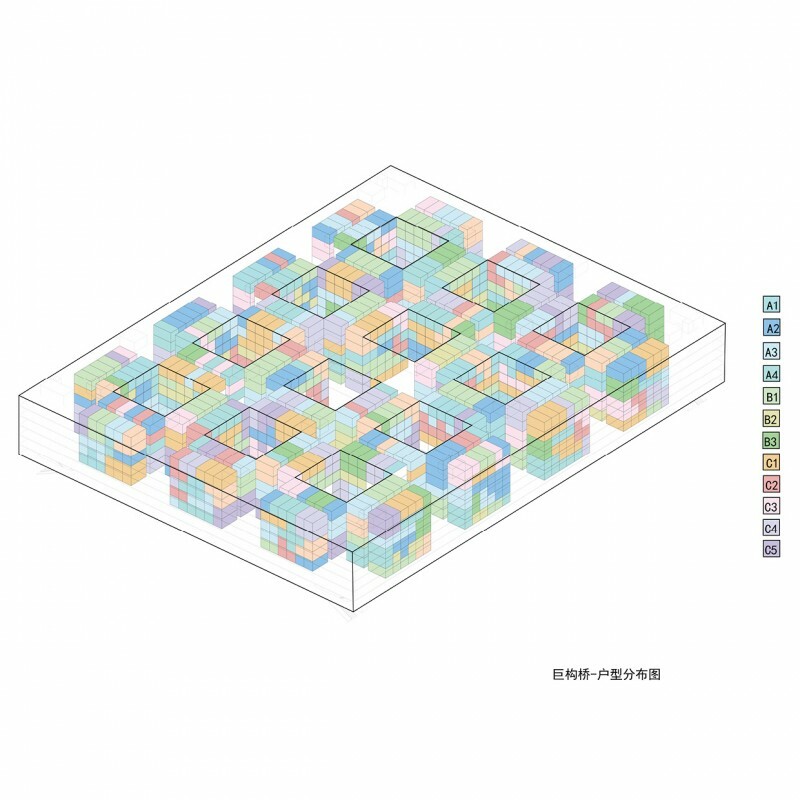 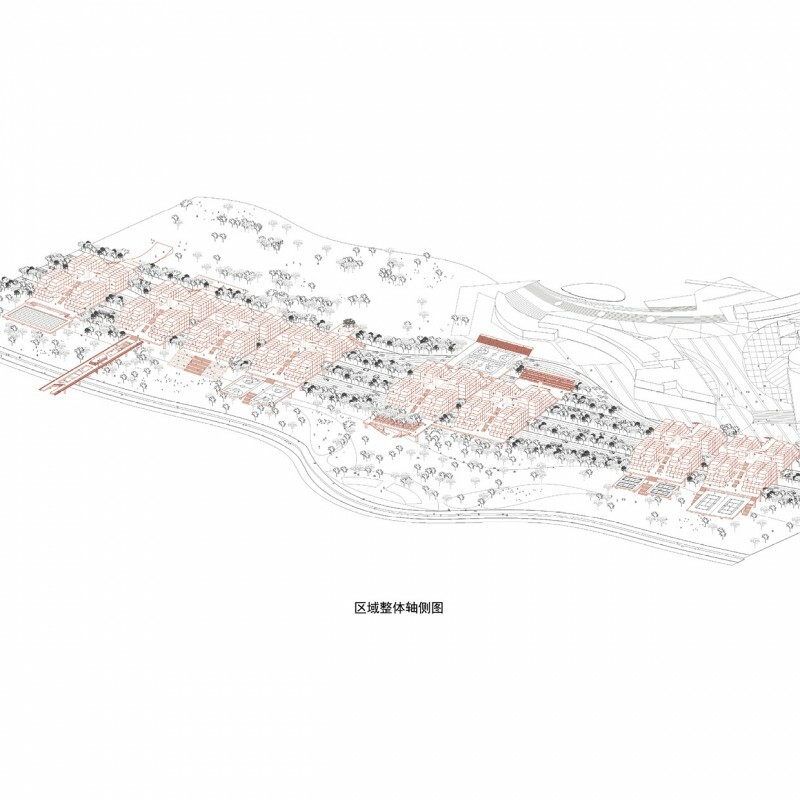 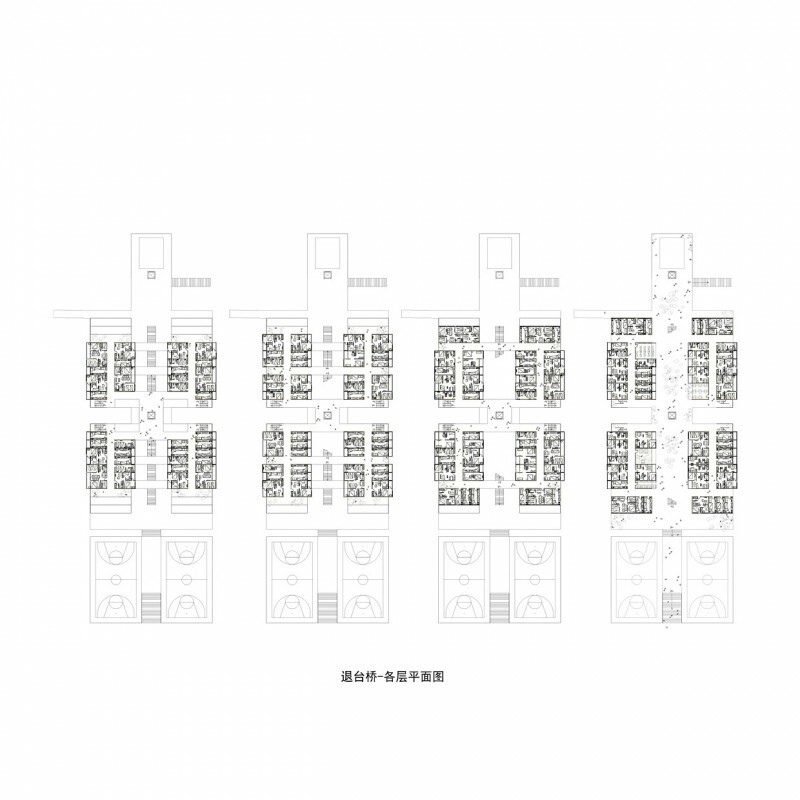 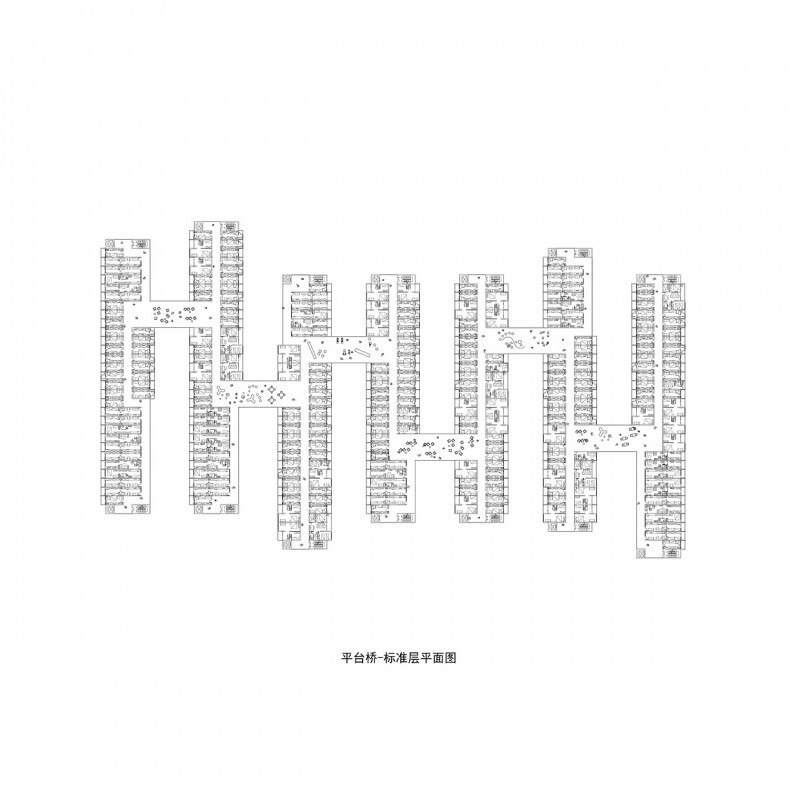 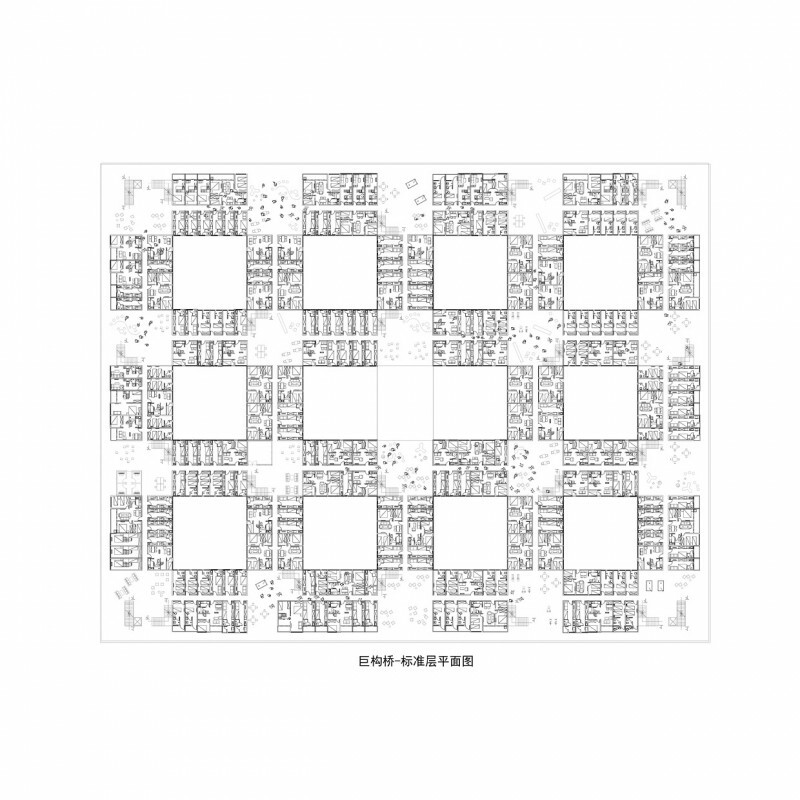 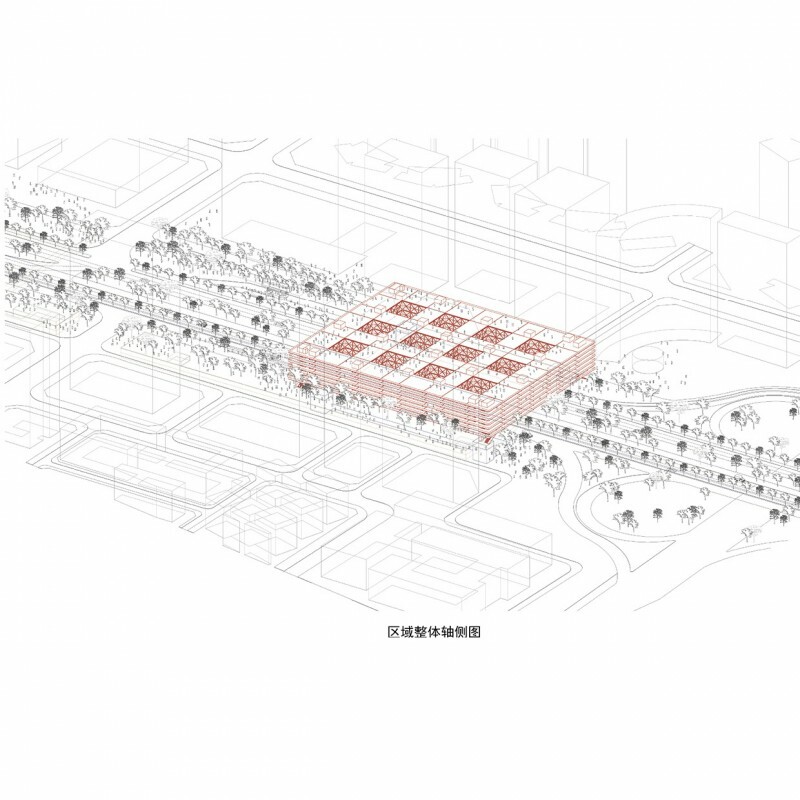 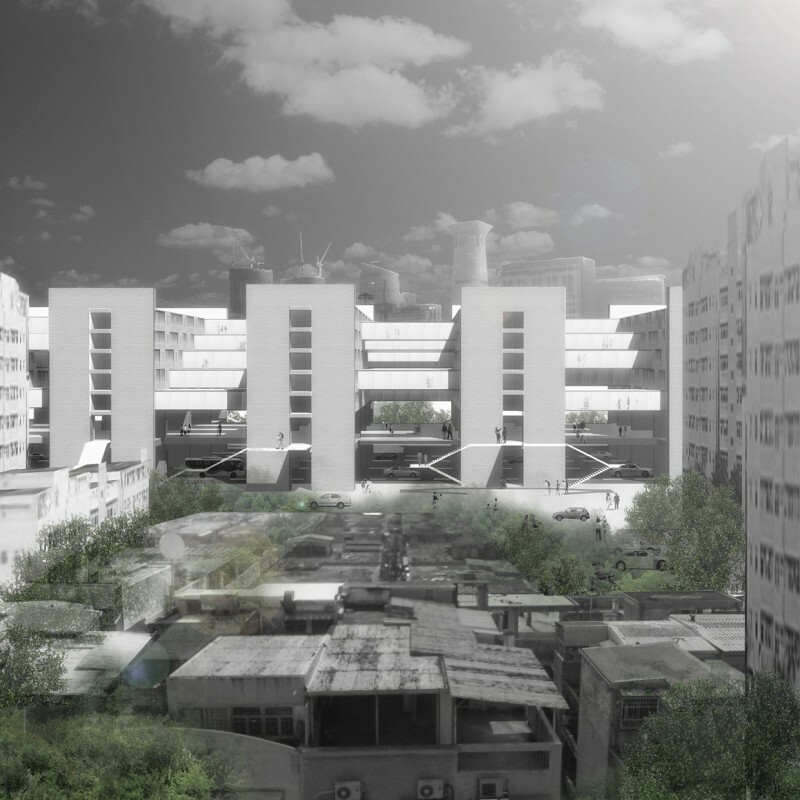 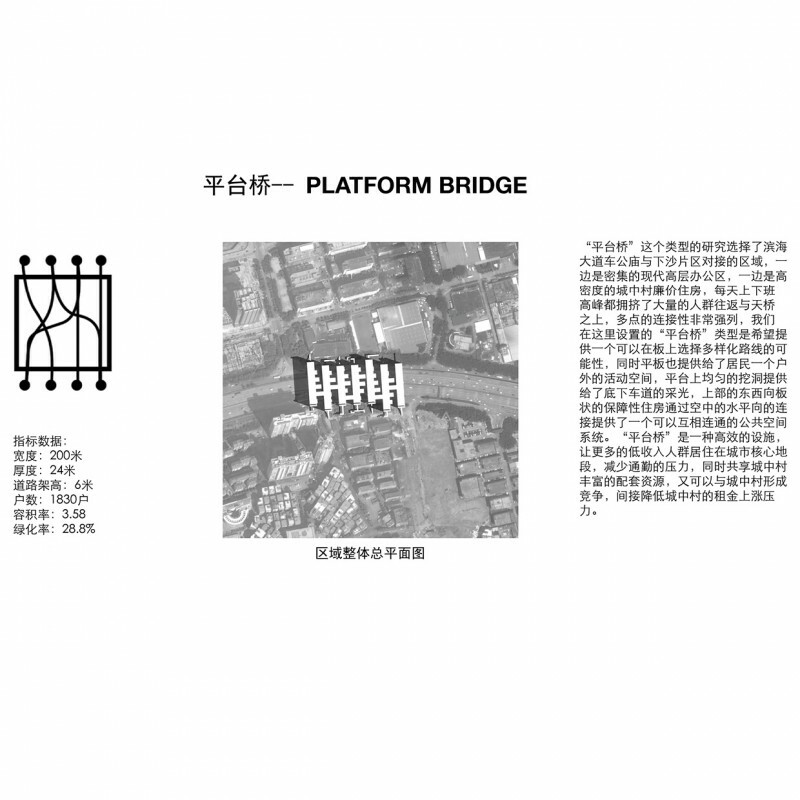 Commissioned by the Urban Planning, Land and Resources Commission of the Shenzhen Municipality, and initiated by the Shenzhen Design Center, the competition aims to generate discussion, debate, and inventive proposals for affordable housing in China. 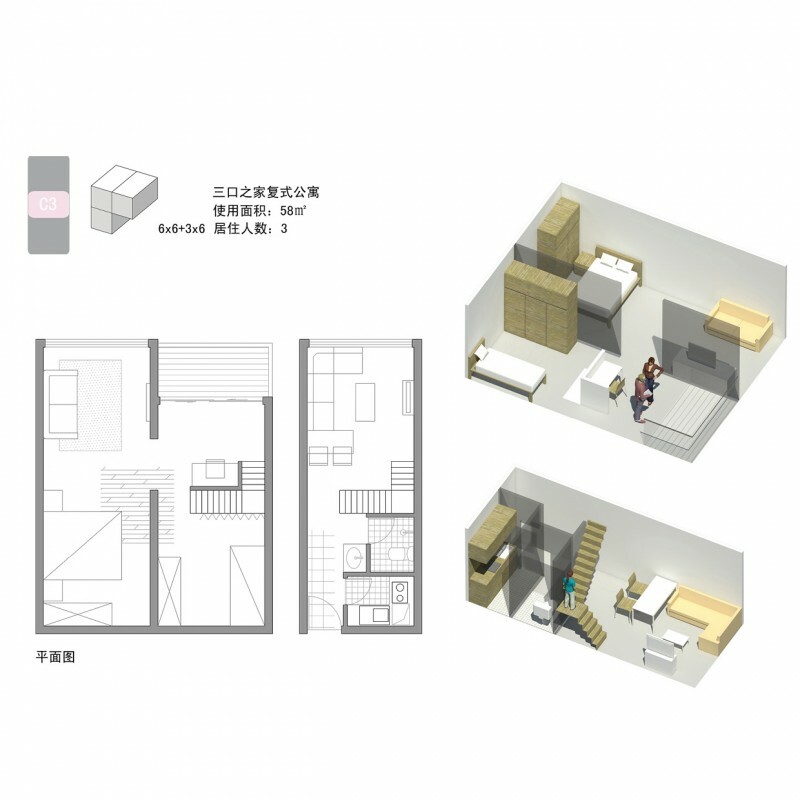 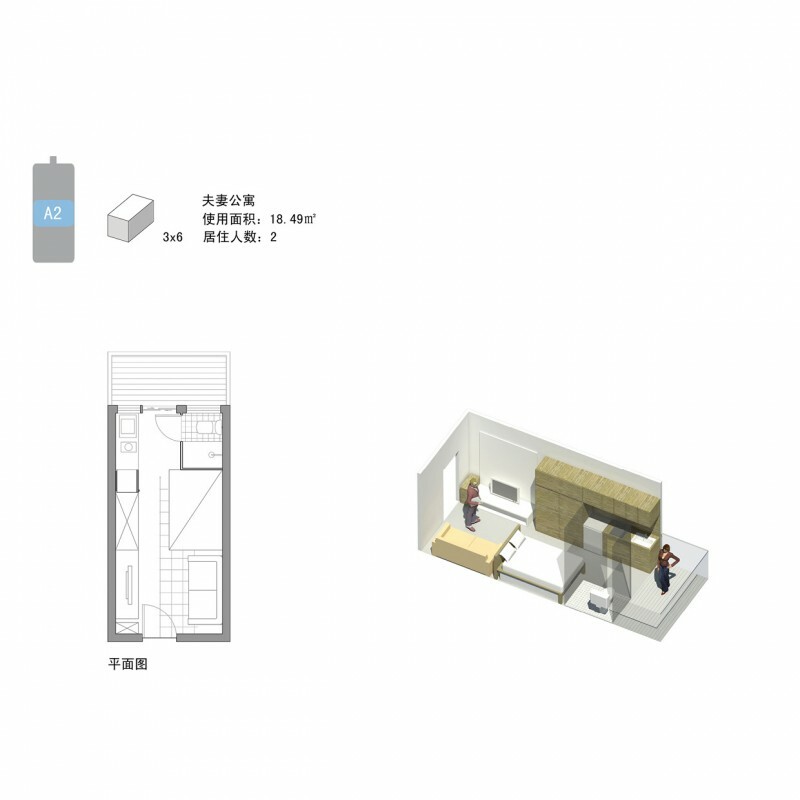 The competition expands the Shenzhen Design Center’s preliminary research by focusing on the development of three interrelated ideas: “1-unit” category focuses on the design solutions of maximum spatial efficiency of a single habitation unit; the “100- families” category encourages radical strategies to distribute affordable housing throughout the city with neighborhood pockets housing hundreds of families each; the “10000- residents” category explores alternatives to China’s typical large residential communities by encouraging the incorporation of mixed-use and low-cost living environments. 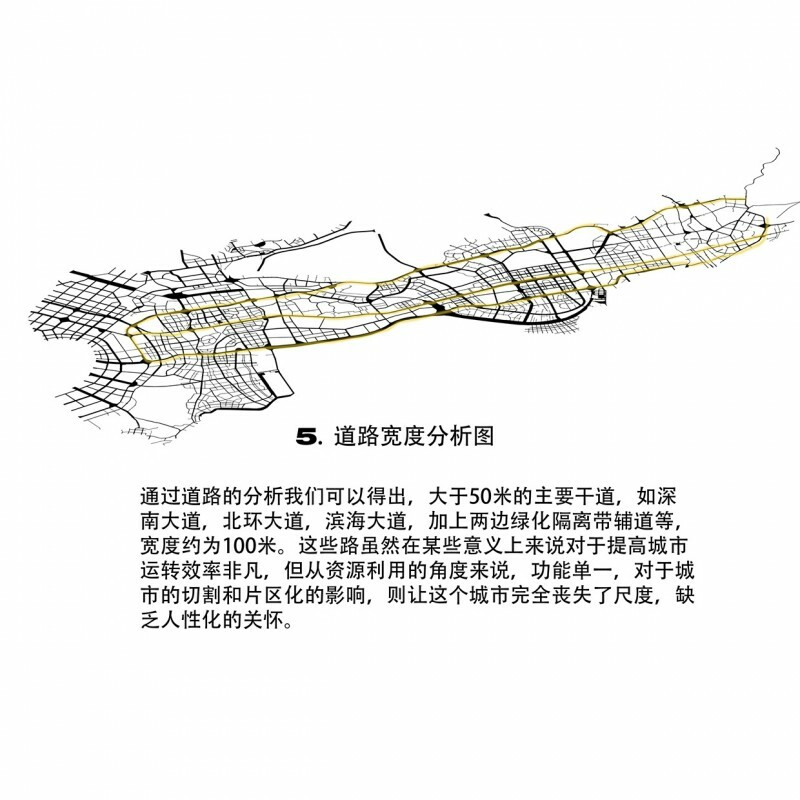 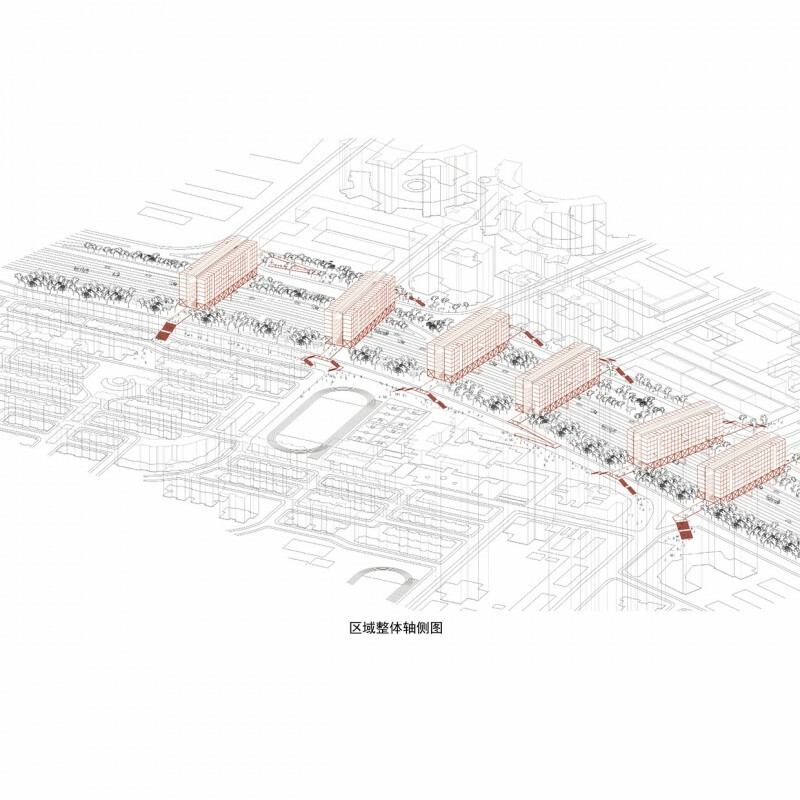 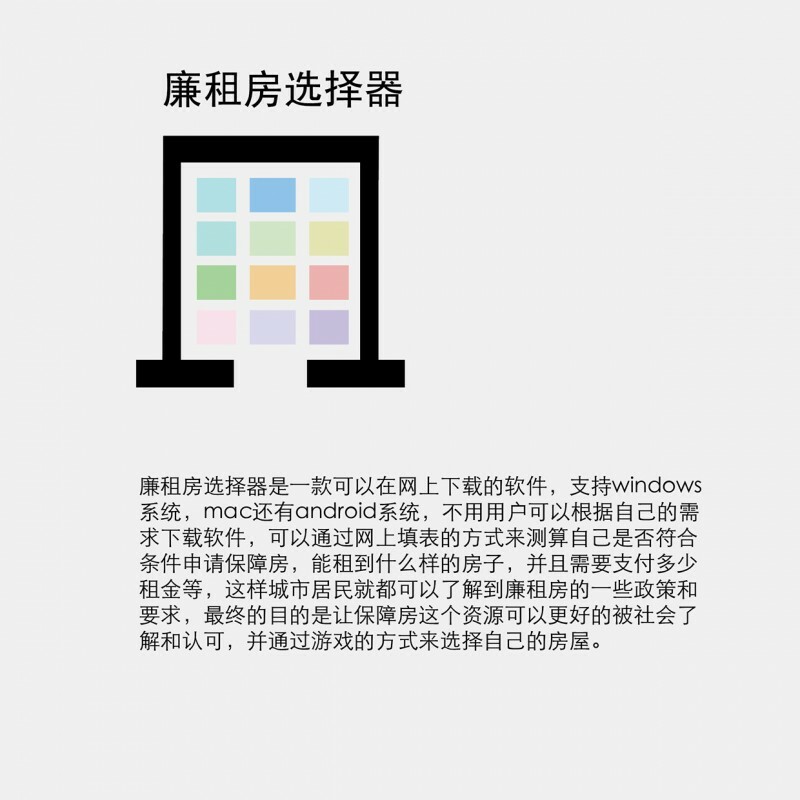 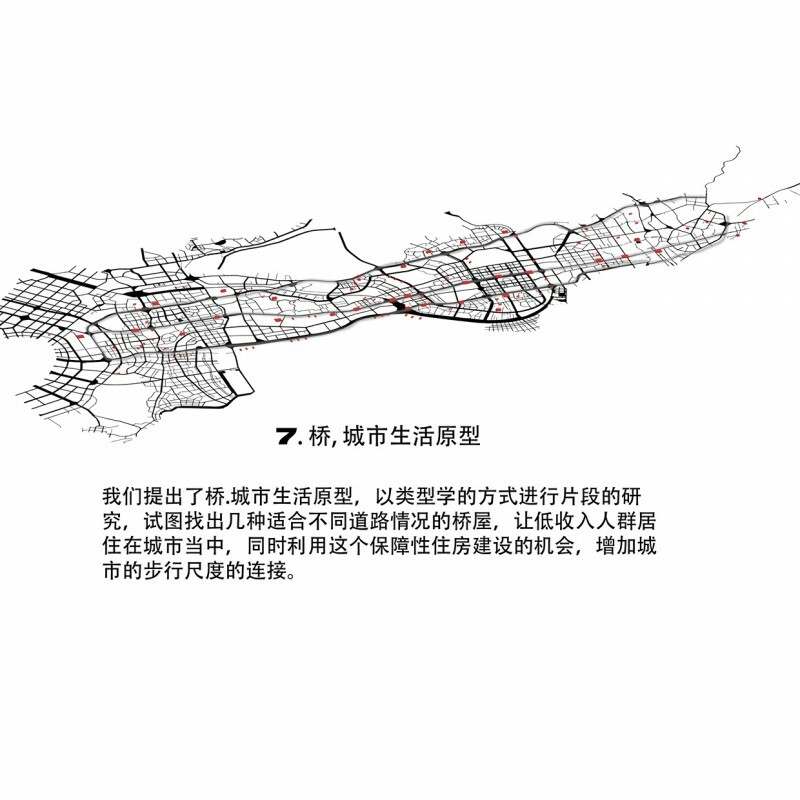 dscape to promote future development, enhance pedestrian and public traffic connectivity, and utilization of facilities. 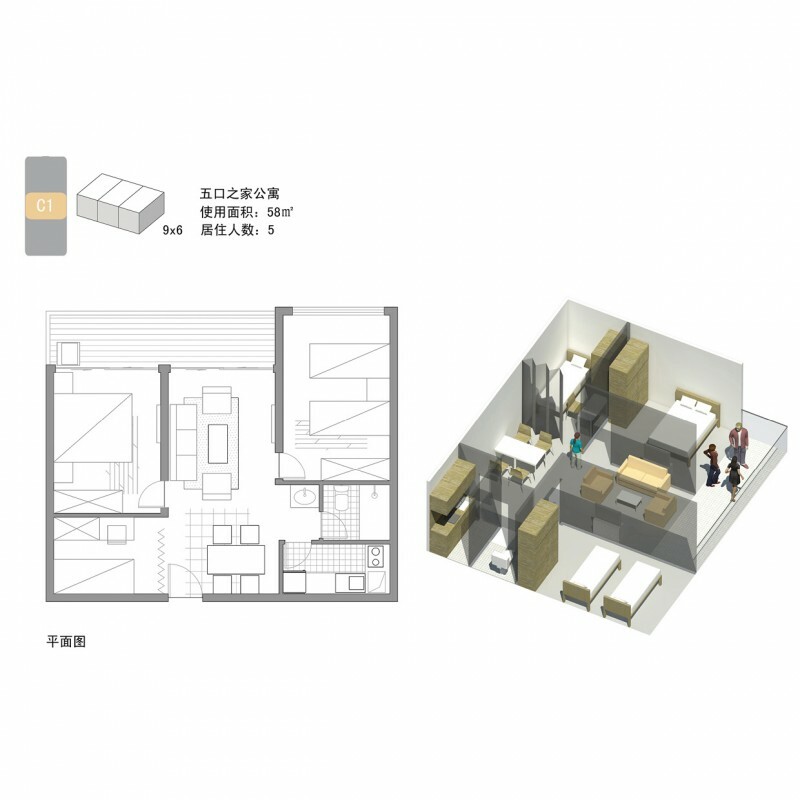 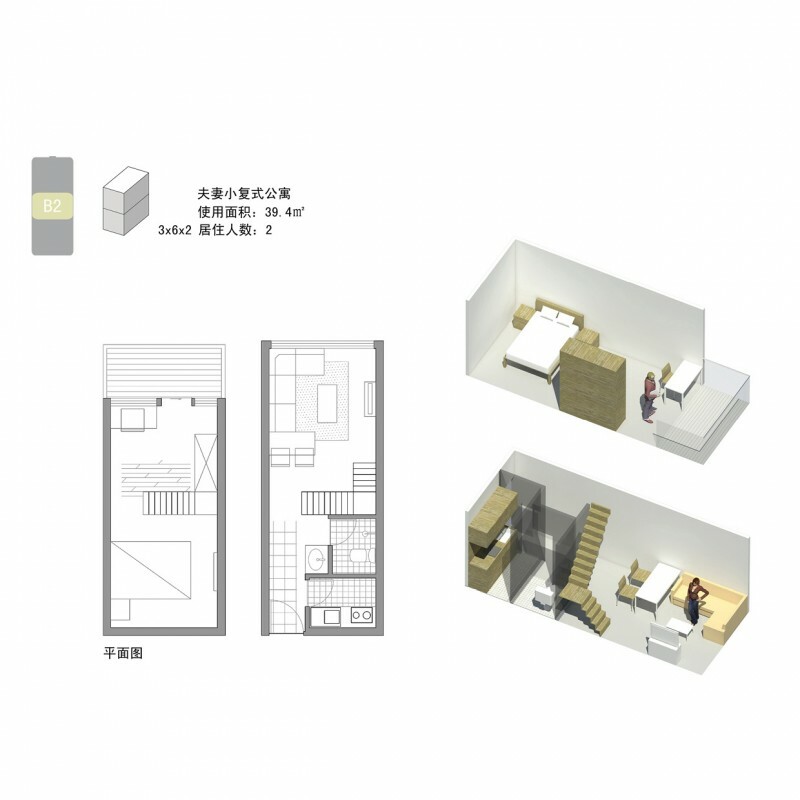 In addition, a software program is also proposed to encourage future residents to explore their options, including the units available, eligibility, rental costs, and location. 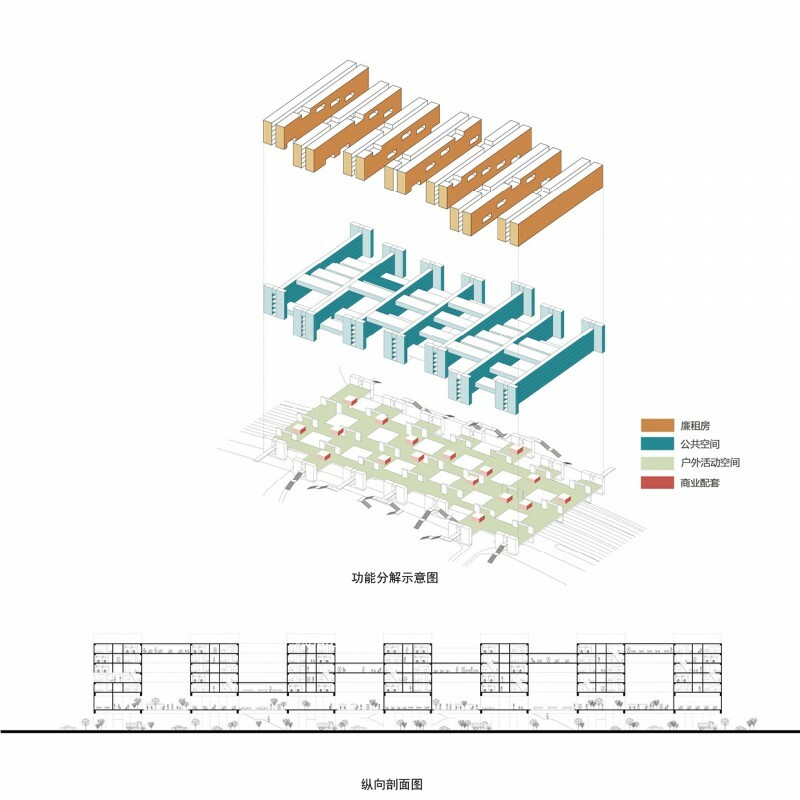 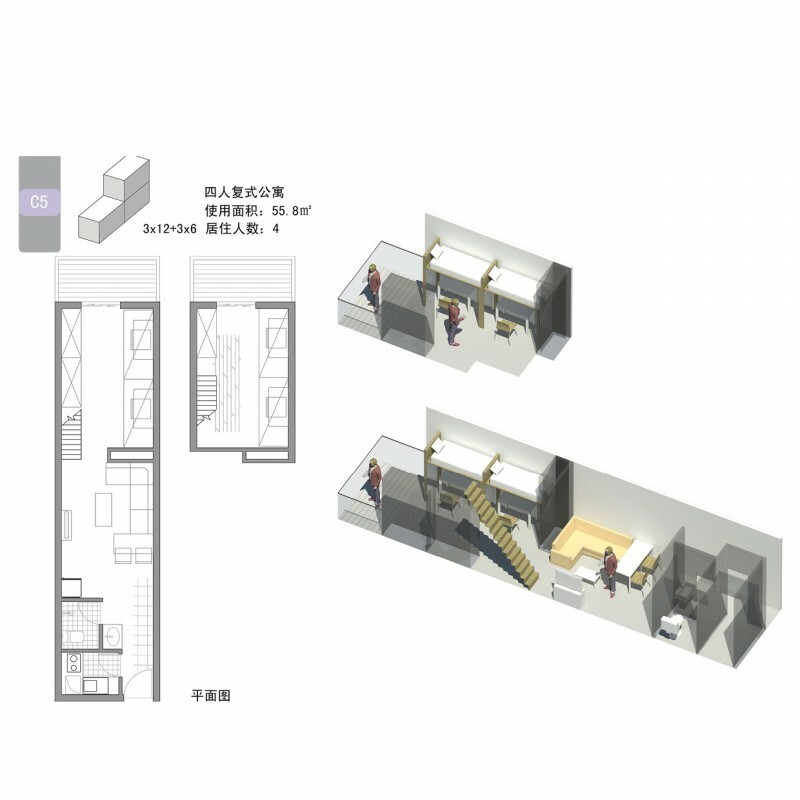 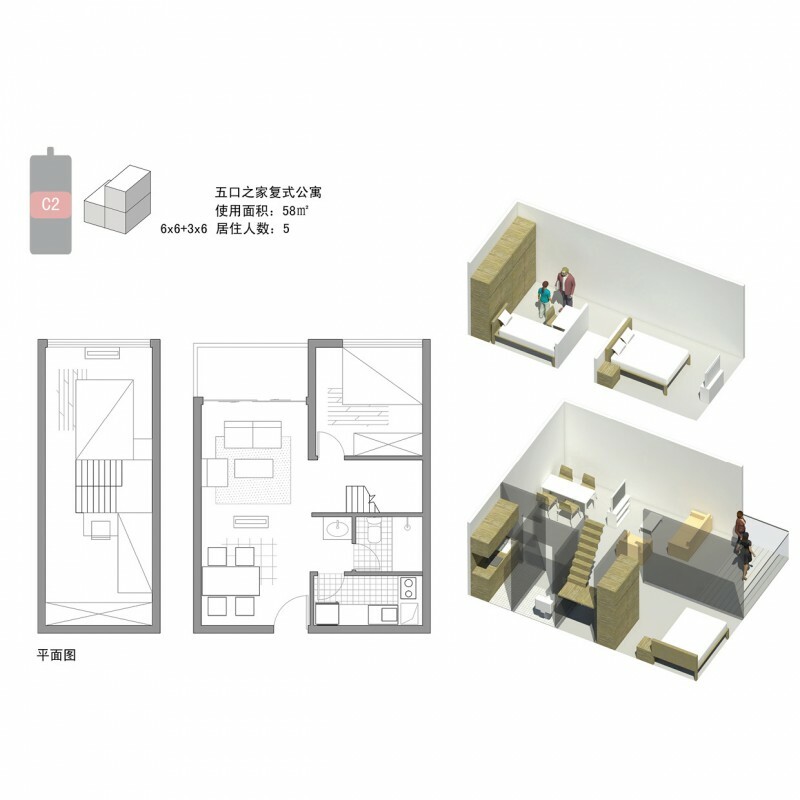 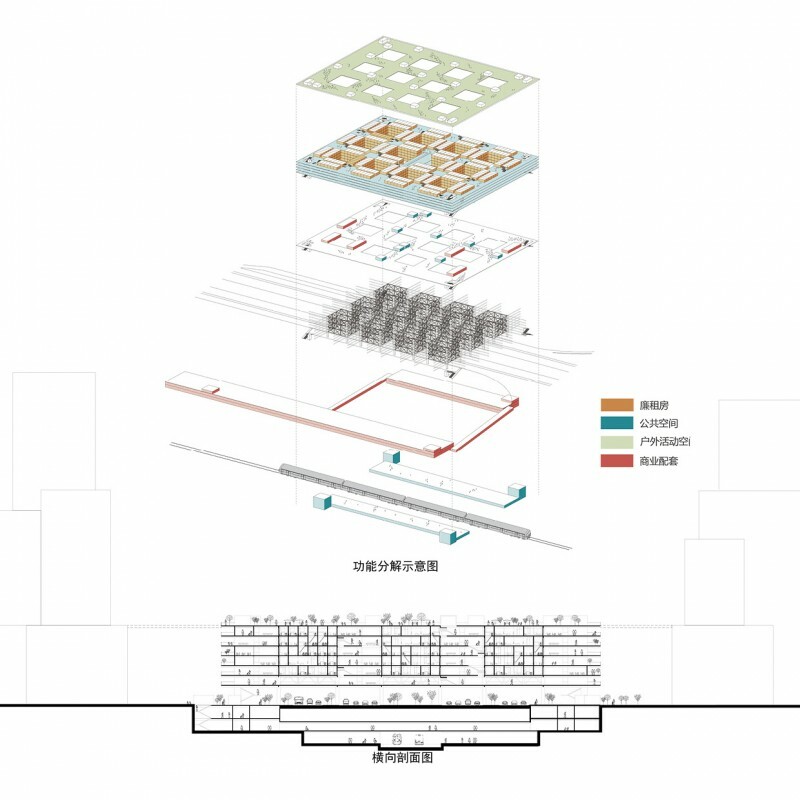 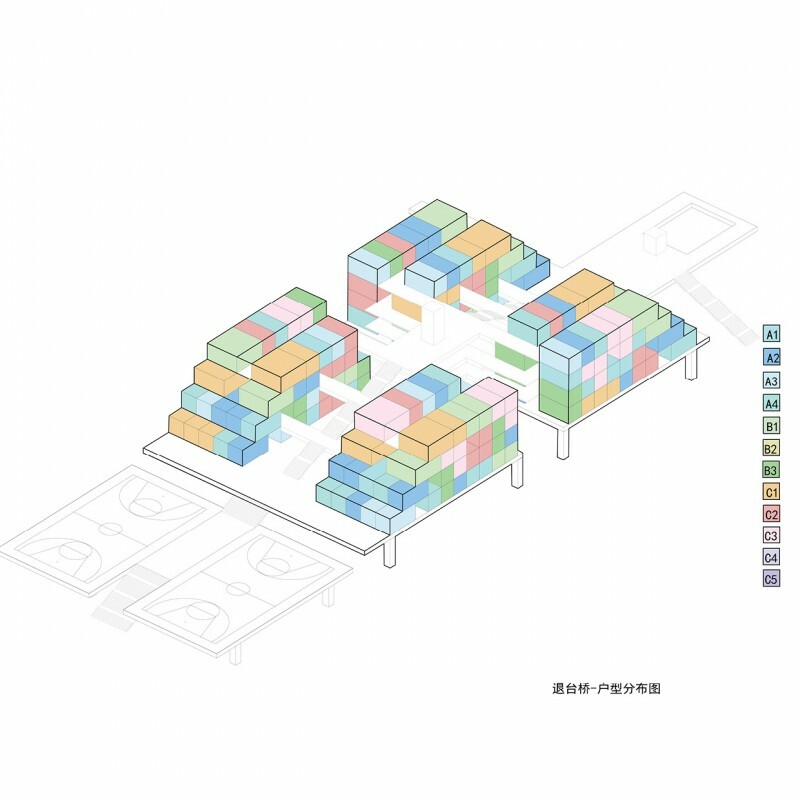 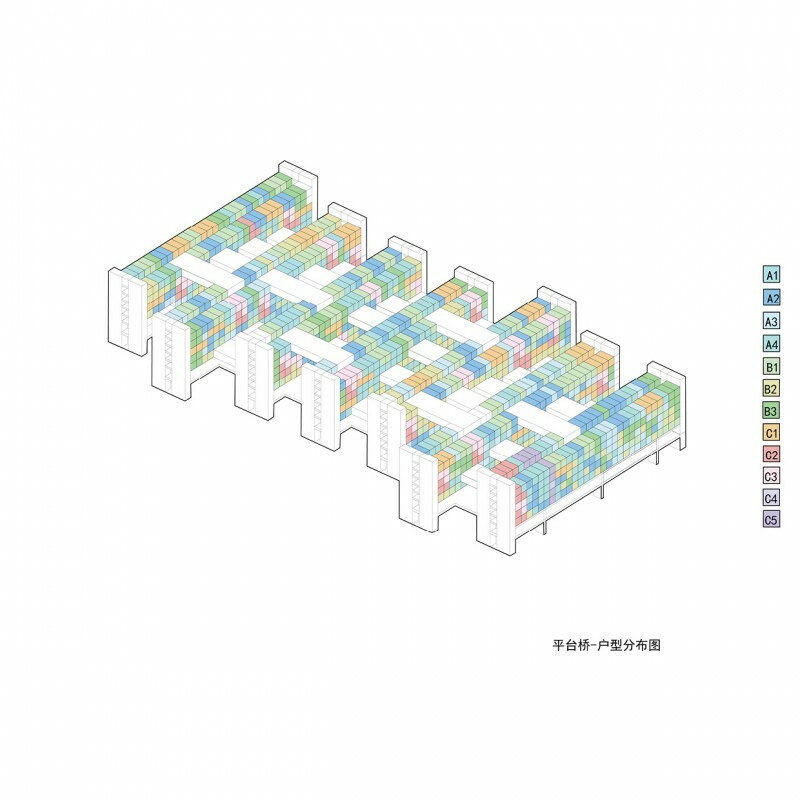 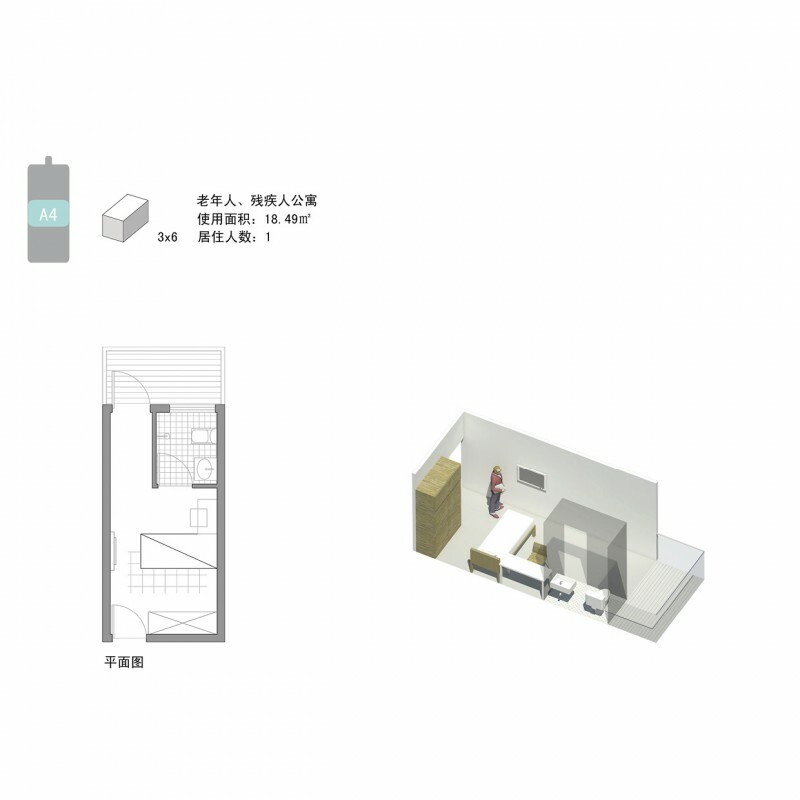 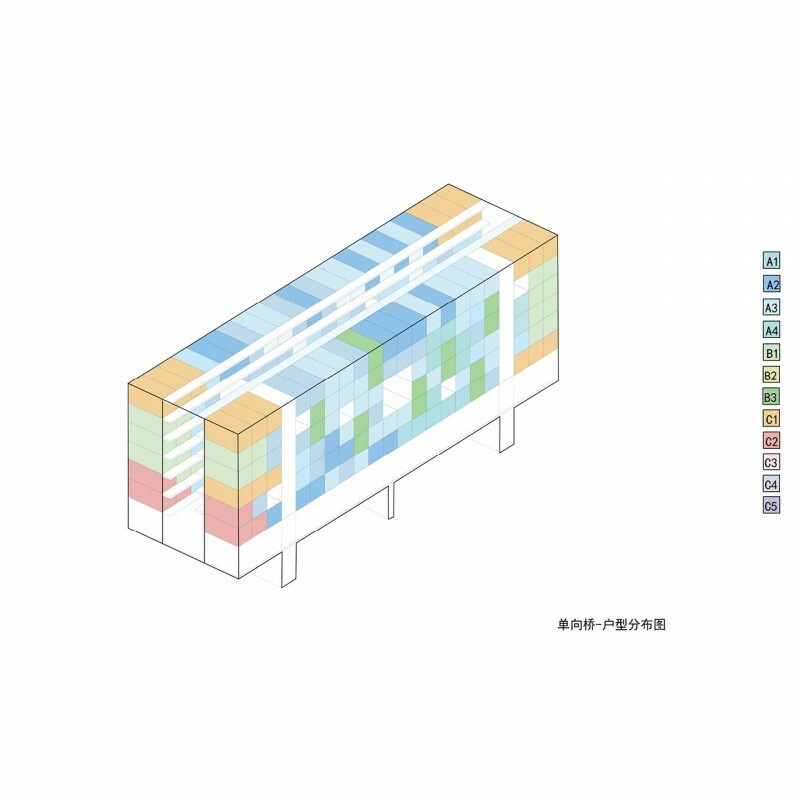 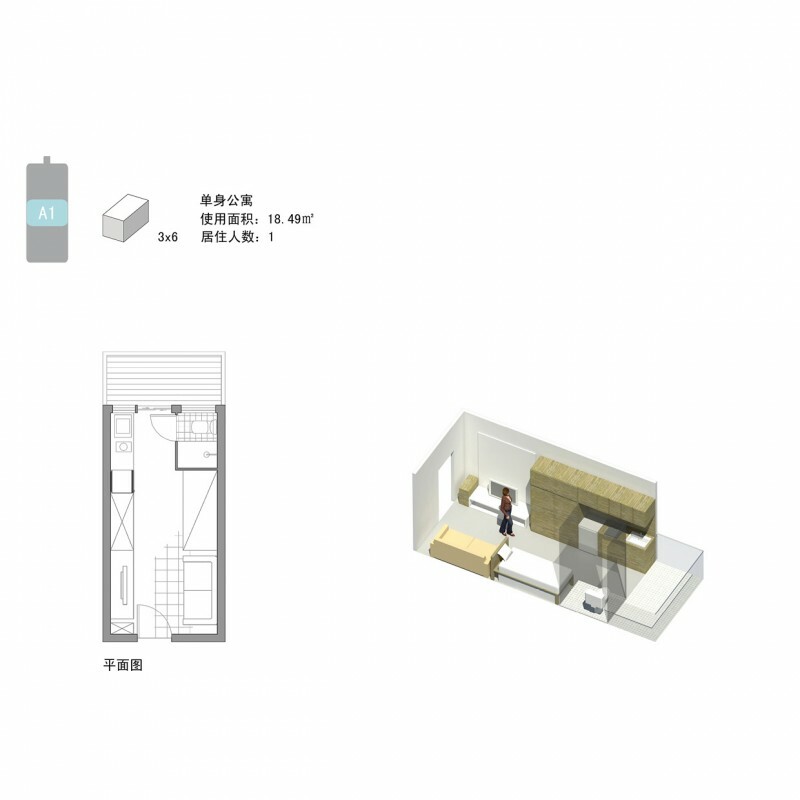 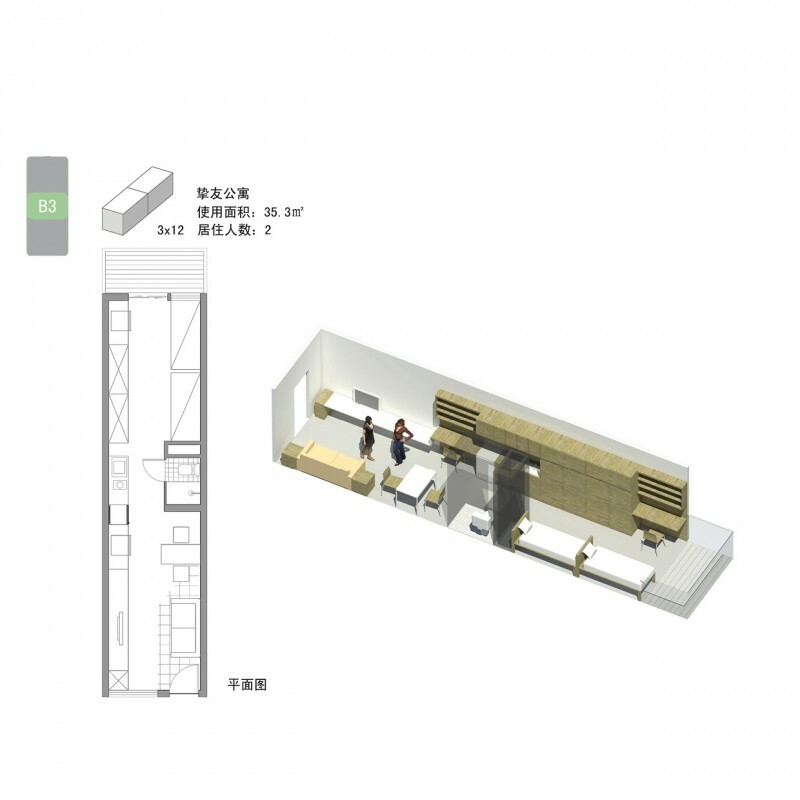 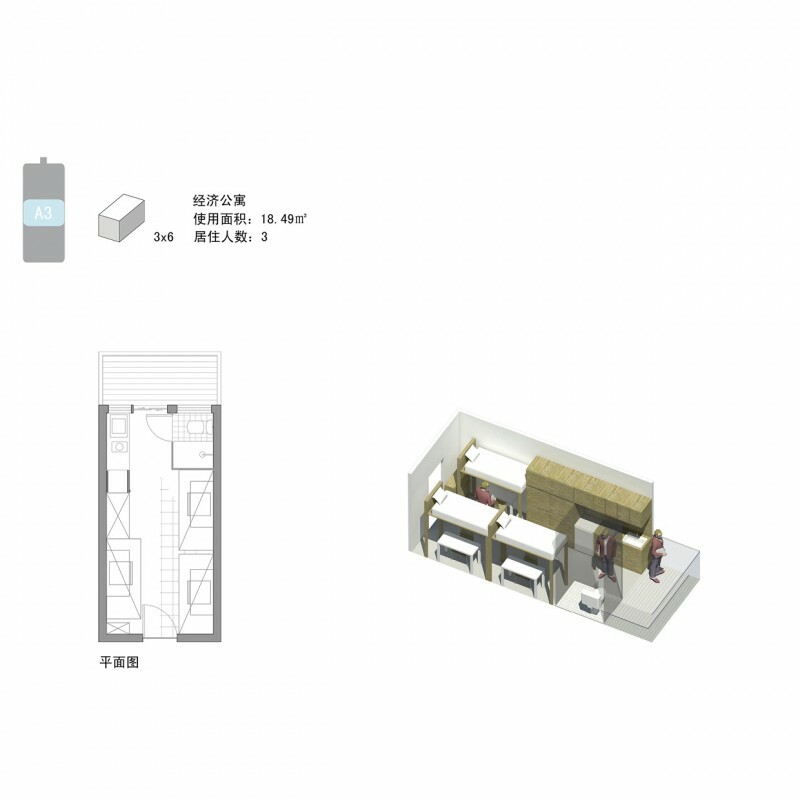 The competition is the first in a series of events and programs to encourage innovation in the design of affordable housing organized by the Shenzhen Design Center.